It’s June. The official start of summer (Thursday, June 21) is just around the corner. The weather’s gorgeous. The sun is shining. The skies are clear. It’s also the perfect time to think about purchasing a new woodstove from Stamford Fireplaces for your home. Most people in Niagara Falls and surrounding areas tend to think about home heating when the weather cools down in the fall. However, by waiting until September (or even later) to select a new woodstove, you run the risk of not getting the product you really want. 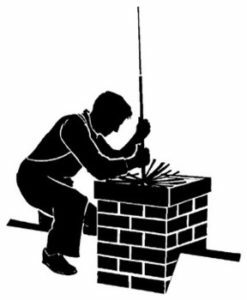 Now, if your current woodstove is in good working order, you don’t really have to worry. But if it needs to be replaced (and you’ve got your eye on a Pacific Energy Super 27 Stove), you don’t want to compromise. In summer, people aren’t really thinking about wood burning stoves for the reasons listed earlier in this blog. Plus, many families are away on summer vacation too. Add it up, and you’ve got a better chance of getting exactly what you want (which is how it should be). When was the last time you booked chimney sweeping? It removes harmful creosote from your chimney. It helps your new woodstove burn and operate more efficiently. Reduces wear and tear (from things like ash, wood, and soot) on your damper and flue. After all, you don’t want your new Pacific Energy Neo 1.6 Stove connected to an old, dirty, and unsafe chimney. On the other hand, installing your woodstove in perfect summer weather is relatively quick (meaning you can start using it and enjoying it much faster too). Chilly summer nights: The average summer temperature of Niagara Falls is around 23°C. However, there are recorded instances of the temperature not even passing 13°C*. For those colder summer nights, a woodstove is the perfect way to stay cozy. No risk of a cold spell: Should something ever go wrong with your woodstove, it’s much better to have it happen in the middle of summer instead of the brutal cold of winter. Prevent rust from accumulating: Any moisture that collects inside your woodstove may possibly rust and cause problems. Using your new woodstove in the summer (even for a short period of time) will evaporate it away. Once your new woodstove is in place, you should pick up some firewood to go with it. Wood logs burn best when dried out, which is why summer’s an ideal time to purchase and store your supply. Cut firewood to lengths around 18”. Use a maul firewood splitter (and not just a simple axe) to get the job done. Select an area where you’d like to store your firewood. Build a strong base made from concrete or natural stone blocks. Don’t store your firewood against any walls. Stack your wood into a rectangular pile. Cover your wood with a weather-proof tarp to keep it dry. Want more info? Check out this blog on the best wood to burn in your wood burning stove. If you’ve been thinking about replacing your woodstove, now’s the time to do it. That way, you’ll be assured of getting the product you want (and you’ll be able to enjoy it sooner too). VIEW OUR SELECTION of woodstove products.